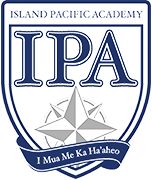 ISLAND PACIFIC ACADEMY’s Elementary students had a lot of special activities planned to welcome in the “Year of the Pig” in their Mandarin classes. 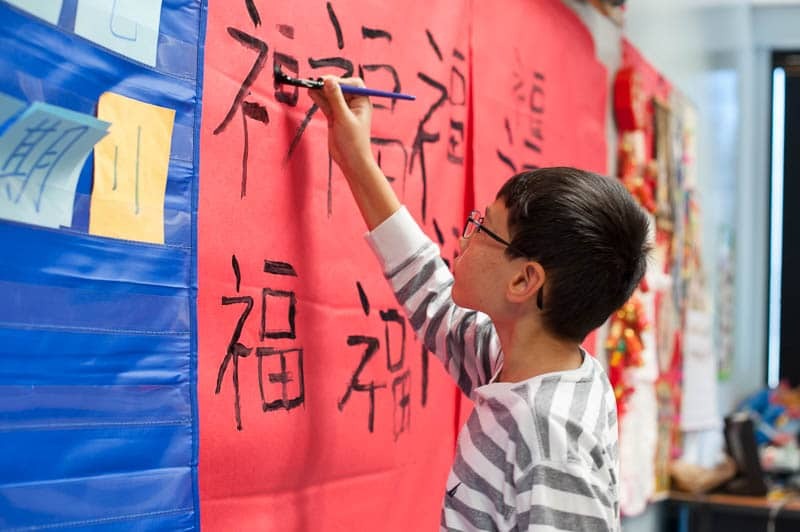 This year, the lunar New Year fell on February 5 and in the days leading up to it, Mandarin teacher Ráo Lăoshī introduced the students to the many traditions associated with the Chinese New Year. 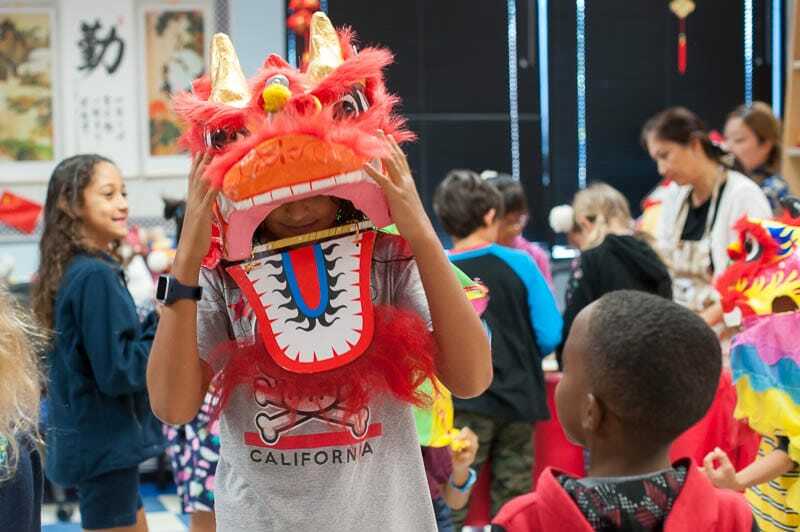 Students in Grades K – 2 learned the “Chinese New Year Gong Xi” song and performed mini-lion dances in class. 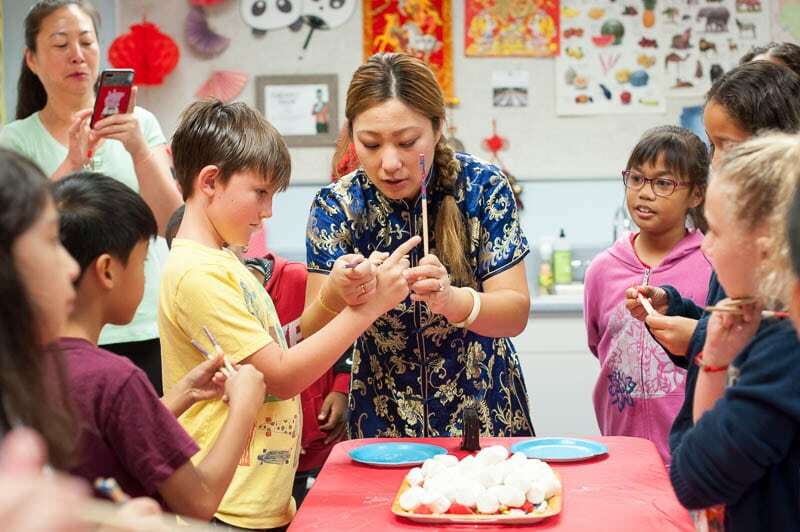 They also had the opportunity to make the Chinese New Year’s cake, which is a sticky rice-red bean cake, and watch a demonstration on how to make dumplings. They even crafted their own “Year of the Pig” paper fans that they were able to take home with them. The older students in Grades 3 – 5 participated in even more activities as part of their celebration. They practiced the Chinese calligraphy character “福“, which means good fortune and happiness, on special red paper with black ink and paint brush. 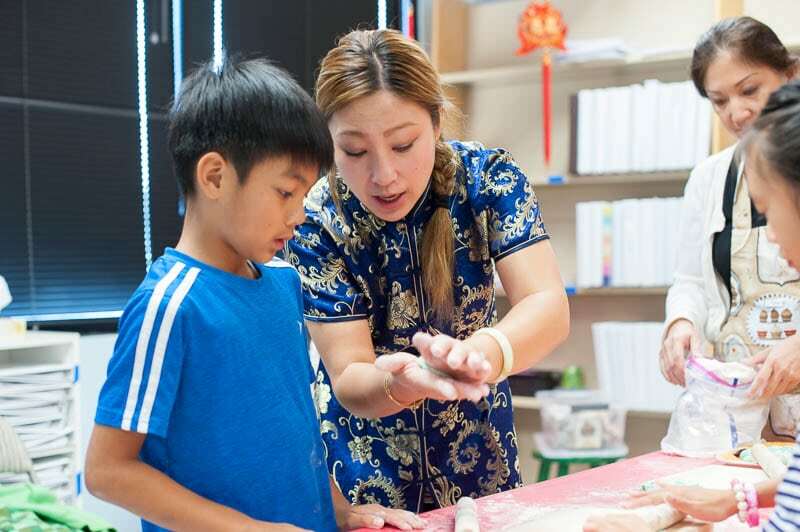 They had a chance to make their own sample dumplings in class – rolling out the dough, adding filling, and crimping the edges. Probably the most exciting and challenging activity was the chopstick contest! 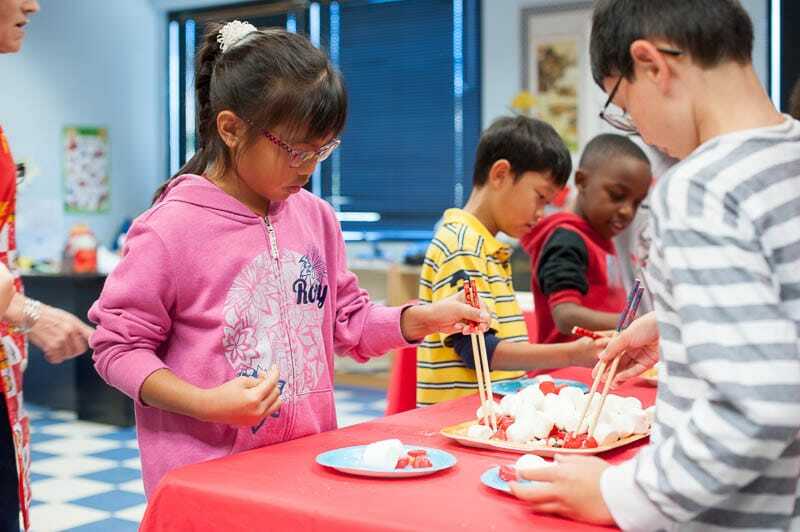 The students competed against each other to see who could use their chopstick skills to transfer the most marshmallows, jellybeans, and Sweetheart candies from one plate to another in one minute. The items were worth different points, with the large, soft marshmallows worth only one point, and the slippery jellybeans worth four points each. The Grade 5 students spent New Year’s eve on a learning trip to Chinatown. 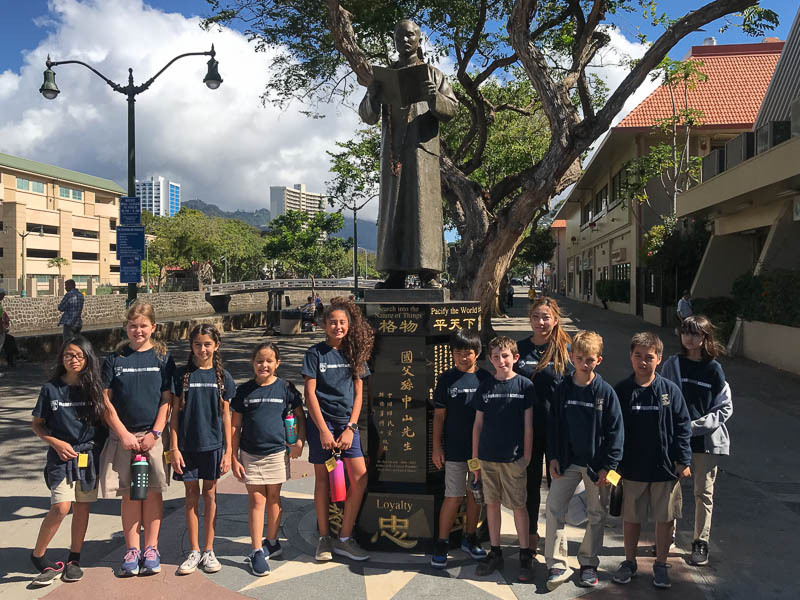 They started out at the Hawaiʻi Heritage Center where they got an historical overview of the Chinese and other Asian immigrants who settled in Hawaiʻi in the area now known as Chinatown. 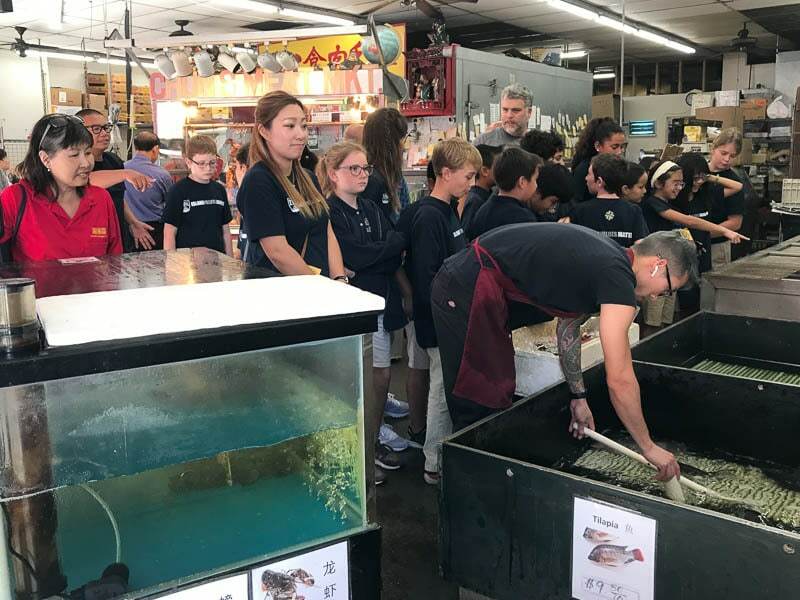 After viewing the exhibits at the center, the students were taken on a walking tour of Chinatown where they were able to practice their Mandarin by greeting shop owners and vendors on their tour. 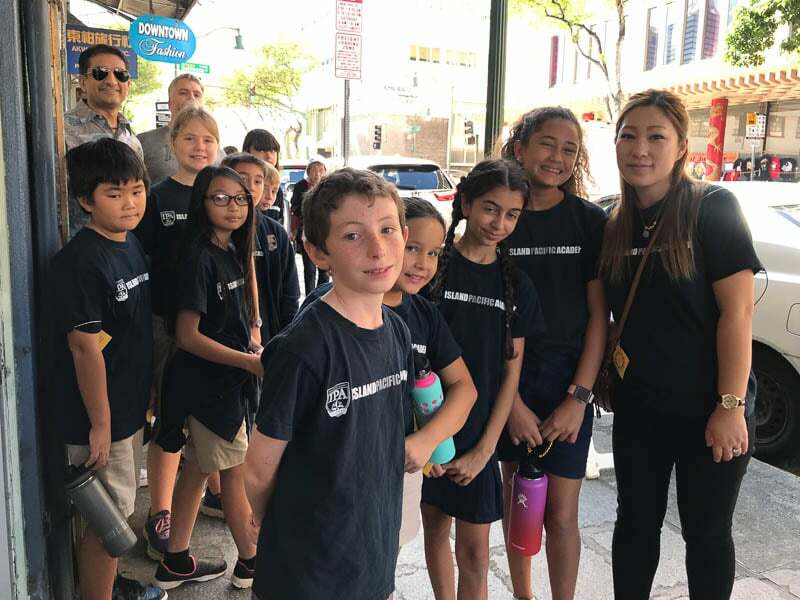 Their explorations took them to Char Hung Sut, a well-known manapua shop, and the Oʻahu Market, Honolulu’s oldest outdoor market. They also visited a “look funn” (flat noodle) factory, historic buildings, a Chinese herbal shop, a Chinese bakery, Chinese restaurants, and the Maunakea Marketplace. Visiting these locations showed the students how immigrants bring their country’s customs, recipes, traditions, and beliefs with them to their new country, creating diversity and enriching their local communities. The students wrapped up their learning trip with a dim sum lunch from Royal Kitchen at the Chinese Cultural Plaza. The Grade 5 students, many of whom were born in the “Year of the Pig,” really enjoyed their learning trip, created some wonderful memories, and got a true taste of Chinese culture.